1 How does the ANTICAL RF Systems works? 2 It is easy to install a ANTICAL RF device? 3 With the installation of the Antical RF technology, your facility will be protected against the problems caused by the lime scale? 4 Is the ANTICAL RF System really chemical-free? 5 Does the ANTICAL RF device remove calcium from water? 8 Does Antical RF have a high maintenance cost? 9 Is the water treated with ANTICAL RF still potable and suitable for human consumption and is it possible to use it for irrigation in agriculture? 10 Is the ANTICAL RF device able to treat very hard water? 11 How does the ANTICAL RF system contribute to a cleaner environment? 12 What is the life expectancy of the ANTICAL RF equipment? 13 My facility has an ANTICAL RF System that is not currently in use; How do I start it and start saving money and reducing water consumption and emissions? 14 My questions were not answered: Who can help me with additional questions? How does the ANTICAL RF Systems works? Scale Prevention: Prevention of new lime scale formation particles. It is easy to install a ANTICAL RF device? YES!. The installation of the device is very simple, being able to be done by a plumber or installation service company or the maintenance team people of the facility of customer. With the device we include a use and installation manual detailing the steps to follow in the installation and in case of doubt you can contact us directly for any questions related. With the installation of the Antical RF technology, your facility will be protected against the problems caused by the lime scale? YES!. This is the main function of the device, in addition also it will be removing progressively the lime scale incrustations existing in the facility before install the Antical RF device. Is the ANTICAL RF System really chemical-free? YES!. 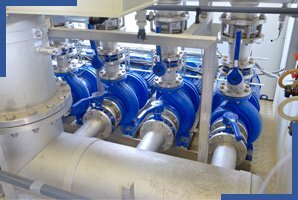 The ANTICAL RF solution uses a proven technology of pulsed power to control the formation of lime scale, corrosion and biological activity without the use of chemicals. The Antical RF System has allowed our clients to improve their objectives in Energy and Environmental Design that cover more than 300 projects in new buildings and facilities as well as in existing buildings and facilities. Does the ANTICAL RF device remove calcium from water? NO!. ANTICAL RF es un sistema electro físico que impide la formación de carbonato de calcio (cal) sin necesidad eliminar el calcio del agua. Antical RF realiza un tratamiento físico del agua, no químico, de manera que el carbonato de calcio presente en el agua siempre está disuelto y por tanto está presente en el agua de una forma no incrustante, de tal manera que no se acumula en la instalación ni en los circuitos de agua y se elimina con el uso normal del agua, cuando esta se utiliza. ANTICAL RF is an electro-physical system that prevents and not allowed the formation of calcium carbonate (lime scale) without removing calcium from water. ANTICAL RF is using radio- electromagnetic waves emitting at low frequencies (0 to 30 KHz) issued through the water ANTICAL RF can transform the insoluble form of lime scale (calcite) in aragonite, as no encrusting form of calcium carbonate, unchanged the organoleptic properties of water, being a physical and not chemical treatment. Antical RF performs a physical treatment of water (Non Chemical treatment), so that the calcium carbonate present in the water is always dissolved and therefore is present in the water in a non-incrusting way, so that it does not accumulate in the installation nor in the water circuits and it is eliminated with the normal use of water, when it is used. ANTICAL RF guarantees a permanent protection against lime scale in their facilities. ELIMINATE progressively existing lime scale waste that already exists before his installation. 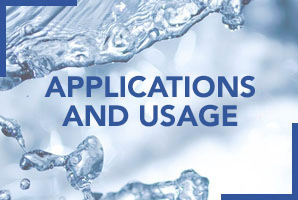 IMPROVE the efficiency of water systems. ALLOWS beneficial minerals such as calcium and magnesium to remain in the water. PROVIDE a simple method of installation. PROVIDES a 5 year warranty. DO NOT require expensive chemical treatments. NO Restricts the flow of water. NO gears or moving parts. Does NOT require expensive disposal of chemical products. DO NOT add foreign elements to the water. Does Antical RF have a high maintenance cost? NO!. Not necessary to add salt or any other chemical. Nor is it necessary to carry out periodic calibrations so that the equipment works optimally and, of course, does not increase water consumption due to equipment washing operations, such as with salt softeners. ANTICAL RF only needs to be connected to the electric current and its energy consumption is very low, since it is a device that works at low voltage (12 V or 24 V, depending on models). Is the water treated with ANTICAL RF still potable and suitable for human consumption and is it possible to use it for irrigation in agriculture? YES!. The water treated by traditional water softeners is not suitable for human consumption or irrigation due to the high levels of sodium left in the water. However, ANTICAL RF devices do not alter the organoleptic properties of water, as they do not add or remove nothing to water, so the quality of it is the same as before its treatment with ANTICAL RF. 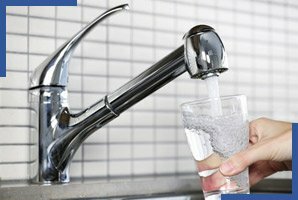 Is the ANTICAL RF device able to treat very hard water? YES!. 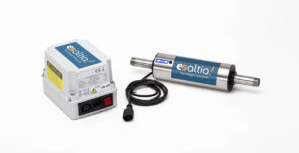 The ANTICAL RF devices are designed to treat very hard waters with up to 200 ºF hardness (2000 mg/l of calcium carbonate in 1 liter of water), a range in which almost 99% of the water enters. But, if necessary, special equipment can be designed and manufactured on demand, to treat particularly hard water, above this hardness value. How does the ANTICAL RF system contribute to a cleaner environment? Reduce the carbon footprint of a facility by eliminating the chemical life cycle associated with traditional water treatment. What is the life expectancy of the ANTICAL RF equipment? The basic components of ANTICAL RF equipment consist of a transformer module and a signal generator or emitter. The system has no moving parts and is designed to last more than 10 years. My facility has an ANTICAL RF System that is not currently in use; How do I start it and start saving money and reducing water consumption and emissions? Great news: if you already have an ANTICAL RF system, you are only a few steps away from removing the chemicals from your facility and providing a significant impact on your economy and the environment. Contact us for a free evaluation of your installation and configuration and confirm the characteristics of the ANTICAL RF device; and according to the information collected, we will determine if an on-site visit is necessary and we will provide a budget for the start-up service of the Antical RF equipment. 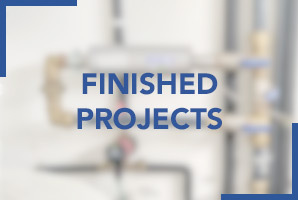 In a few words: you are very close to eliminating the chemical products from your installation and improving your final result! My questions were not answered: Who can help me with additional questions? We are here to help you! 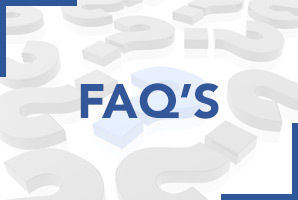 Send your specific question through our email info@esaltia.com or contact us directly by phone by calling at (+34) 965.881.658.